Sir Henry Keppel (1809-1904), Admiral of the fleet. Sitter in 10 portraits. 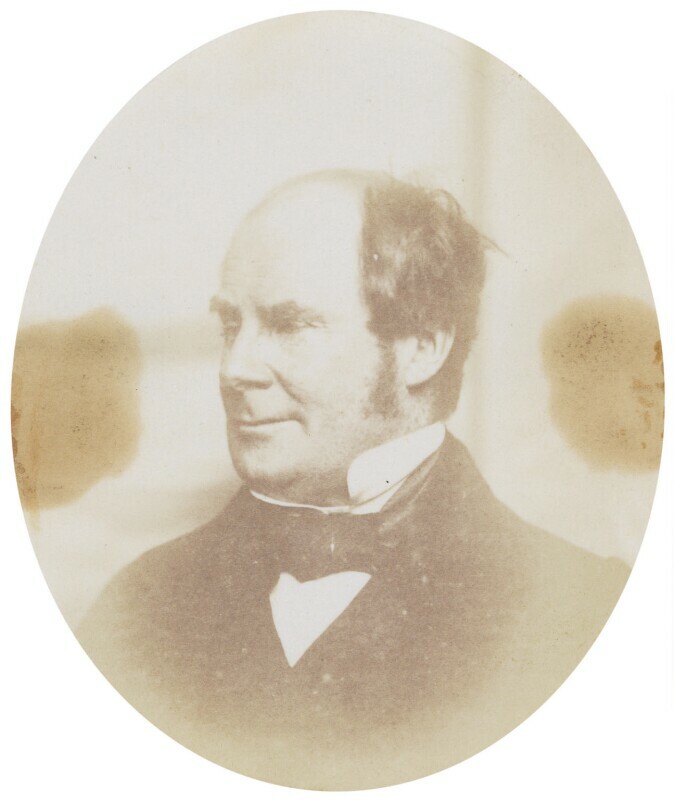 Sir Anthony Coningham Sterling (1805-1871), Soldier and writer. Artist associated with 64 portraits, Sitter associated with 3 portraits. The 10 Hours Factory Act passed, regulating working hours for women and children under the age of eighteen to effectively a maximum of ten hours a day. The Communist League is founded in London, attended by Friedrich Engels. The League draws up a set of rules and aims, including overthrowing the bourgeoisie and empowering the Proleteriat, and ending class division, forming the basis of Karl Marx's The Communist Manifesto (1848). A good year for novels: Emily Bronte's passionate, rebellious and gothic Wuthering Heightsis published, followed shortly by her sister Charlotte's 'Jane Eyre, a story of a governess's struggle for liberty from social and gender constrictions. Drawing on a similar vein of revolution and rebellious women, William Thackeray's satirical novel Vanity Fair is serialised. The Don Pacifico affair sparks an international incident, when the Jewish trader's business was burned in an anti-semitic attack in Athens. When the Greek government refused to compensate him, Gibraltar-born Pacifico appealed to the British government. Foreign Minister Palmerston sent a squadron into the Aegean in 1850 to seize goods of the equivalent value, leading to strained relations with Turkey and Russia, and heated debates in Parliament.